From influential bloggers to entertaining vloggers and stylish insta-glammers, we bring you the people you need to follow online and on social media. 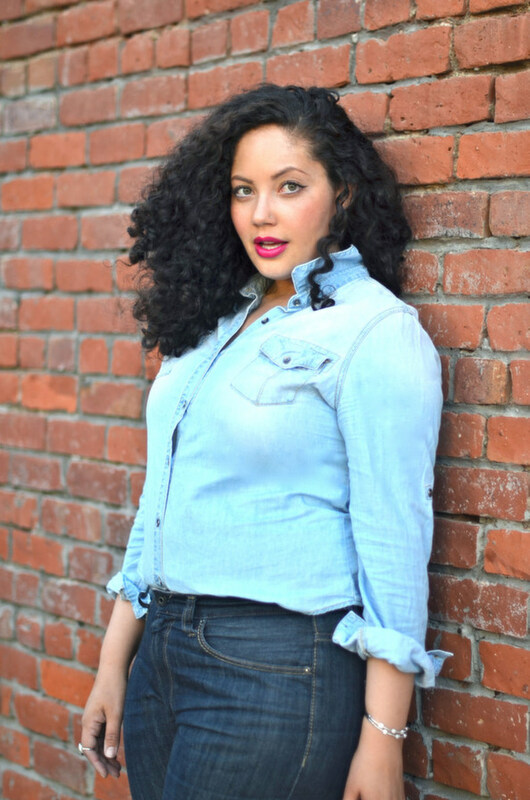 This week allow us to introduce Tanesha Awasthi of Girl With Curves. Proving you don’t have to be a skinny mini to be stylish and look fabulous, plus-size beauty Tanesha Awasthi showcases the latest trends on herself. However, it’s not all about how to wear clothes, the style influencer is on a mission through her blog, which she launched in 2011, to be a leader in the body confidence movement, proving fashion goes beyond size. In autumn 2013 Tanesha, who is a licensed Esthetician, published writer and fashion contributor to Redbook magazine designed and launch Girl With Curves clothing. From how to wear the latest trends, to food inspiration and travel luxe, Tanesha is a positive lifestyle guru.